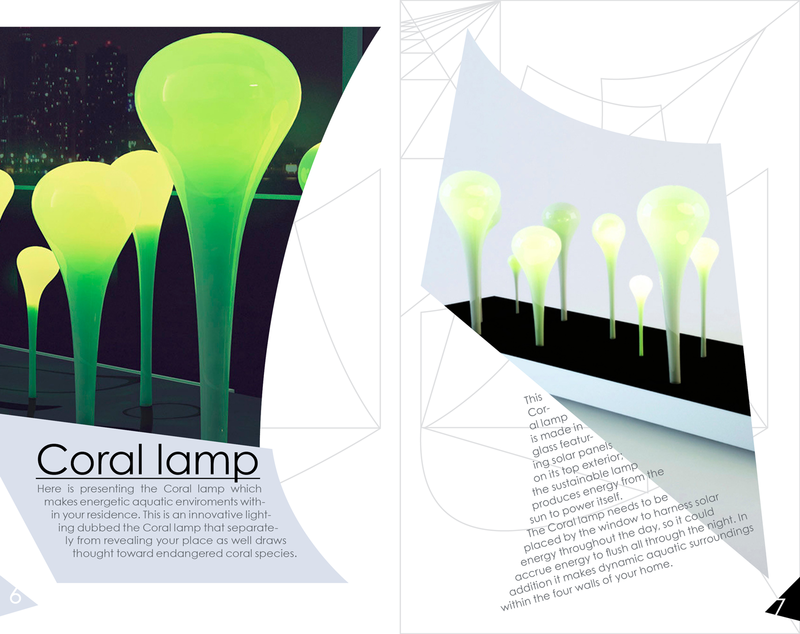 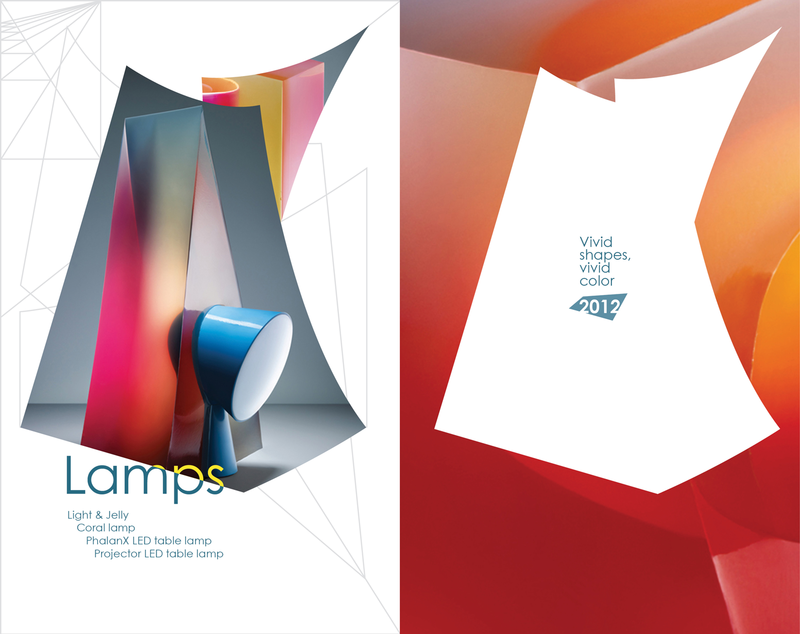 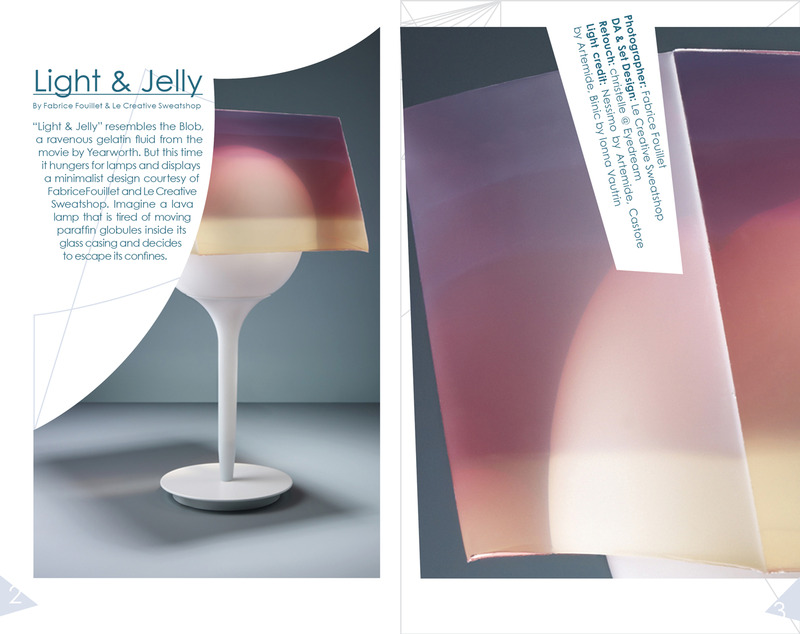 Booklet about lamps, created by famous designers. 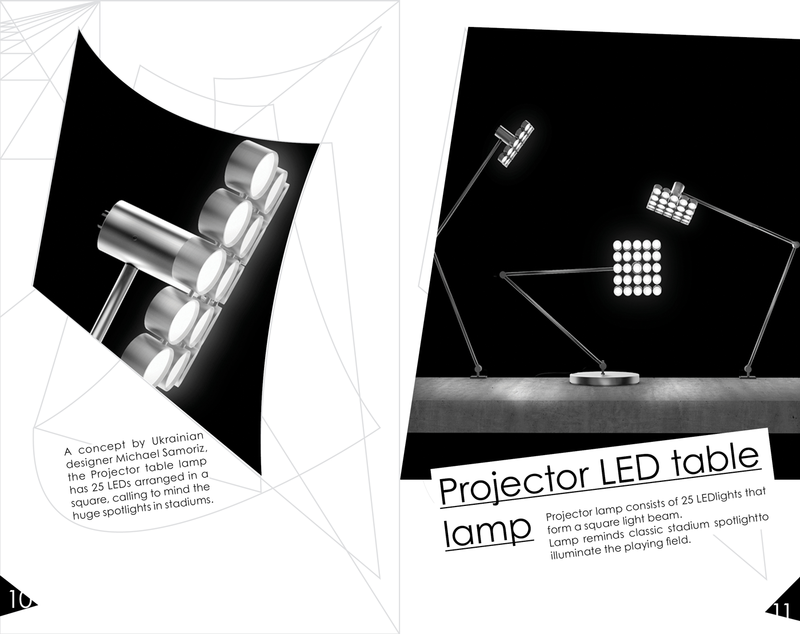 Coral lamp; PhalanX LED table lamp and Projector LED table lamp by Michael Samoriz, art director, co-founder of Umbra-design studio. 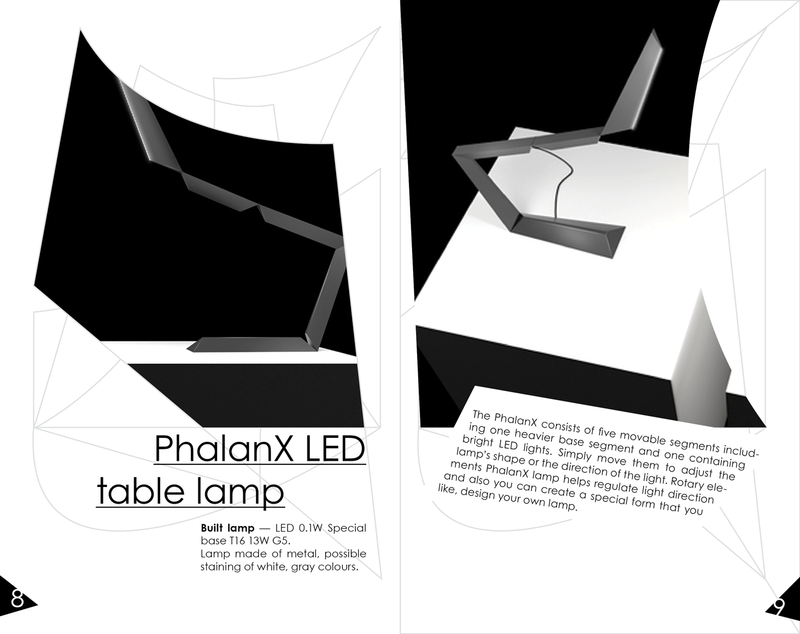 Grid layout is dynamic and modern. 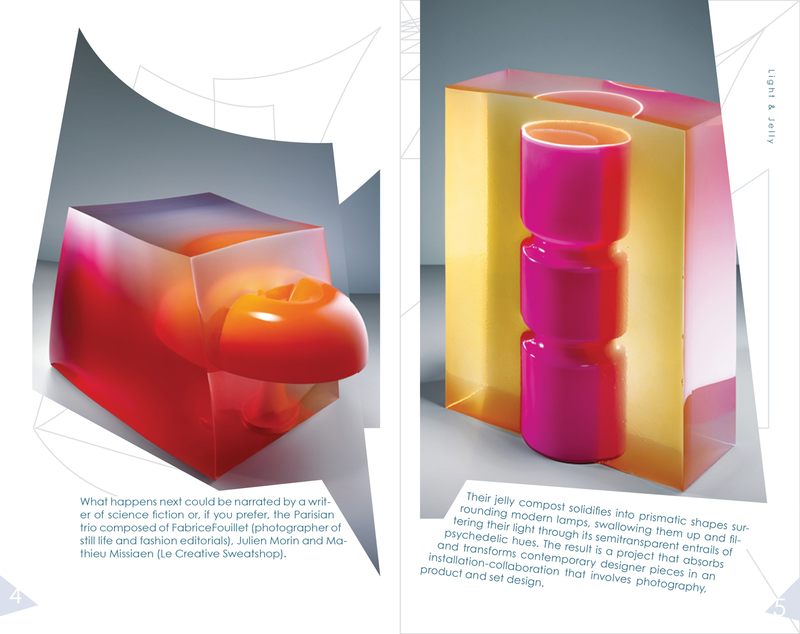 with the scheme of abstract forms which resonated with objects on the photographs. 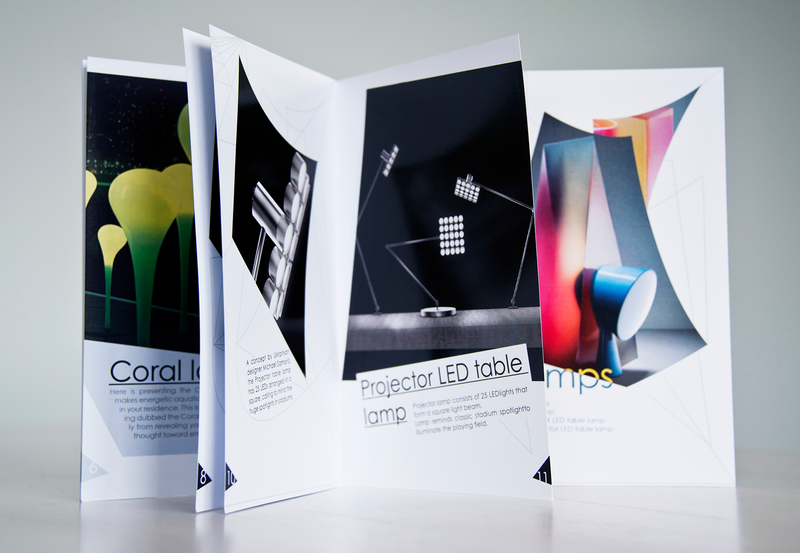 Booklet (size 120х190) was printed on paper 160 grams. 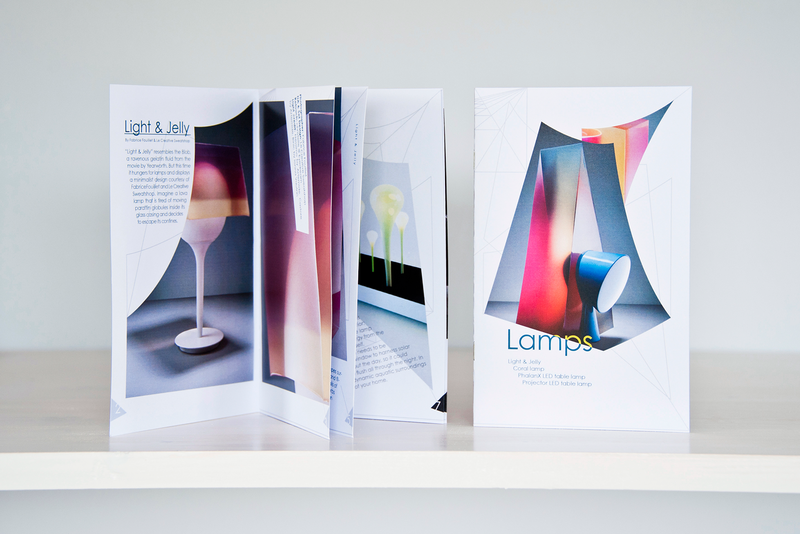 It was distributed promotionaly in design stores.